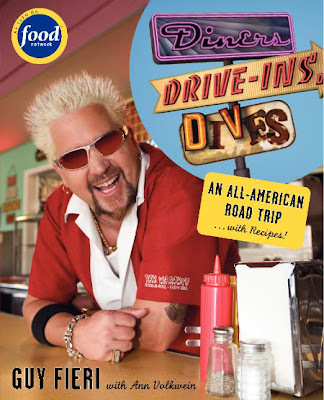 Food Network has a fun show called Diners, Drive-Ins and Dives. The show visits restaurants that fall under the aforementioned category and shares some of the restaurants' recipes. While the food looked very tasty at each of the restaurants, I had more fun with the reduplicative restaurant names. Linguistically speaking, "reduplication" is a morphological process that occurs in many languages to different degrees and for different purposes. Basically, it is the repetition of all or part of a word. In some languages reduplication has a grammatical function (inflecting for plurality or intensifying) and in others it is used primarily for phonological word play (rhyming, baby talk, etc.). For more about reduplication check out this Wikipedia article. On a side note: Does anyone else find the word "reduplication" to be slightly redundant? If you are duplicating something you are essentially re-doing what has already been done; hence, reduplicating is akin to re-re-doing. I know it is possible to re-re-do things but there has to be a limit. Additionally, linguistic reduplication generally only repeats the word or word part one time so the word "duplication" should suffice. And on a completely separate note (for those who cannot tolerate apostrophe abuse): What the heck is that at the top right corner of the "s" at the end of "drive-ins" on the publicity photo for the show? I hope it is just the funky font and it is really supposed to be a part of the "s", but on a quick glance it look like an apostrophe.